Now that summer is just around the corner, you can spend more time outside. 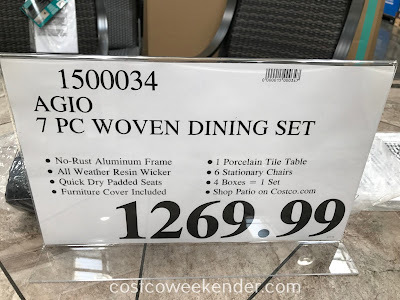 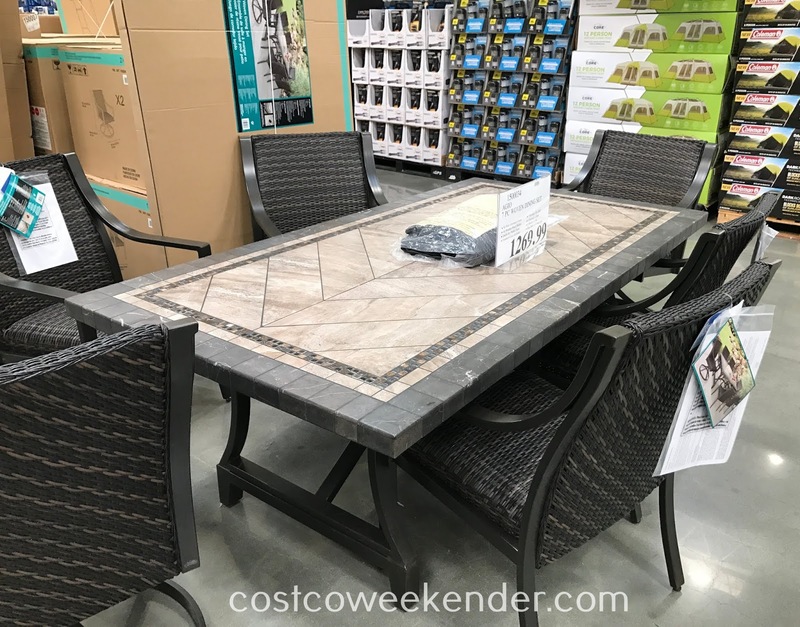 With the Agio 7-piece Woven Dining Set, you can enjoy a meal al fresco or you can just hang out in your backyard when the weather is nice and warm. 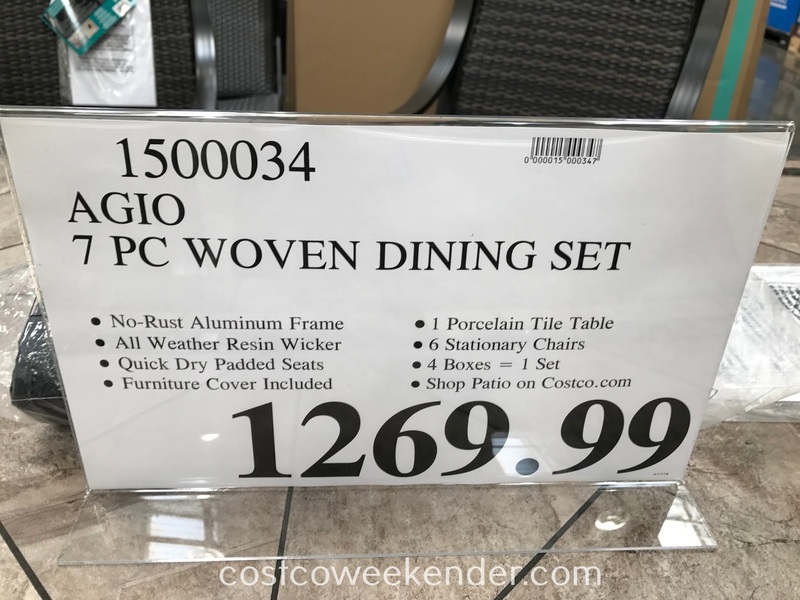 The Agio 7-piece Woven Dining Set comes in handy when you have guests over or you're hosting a bbq. 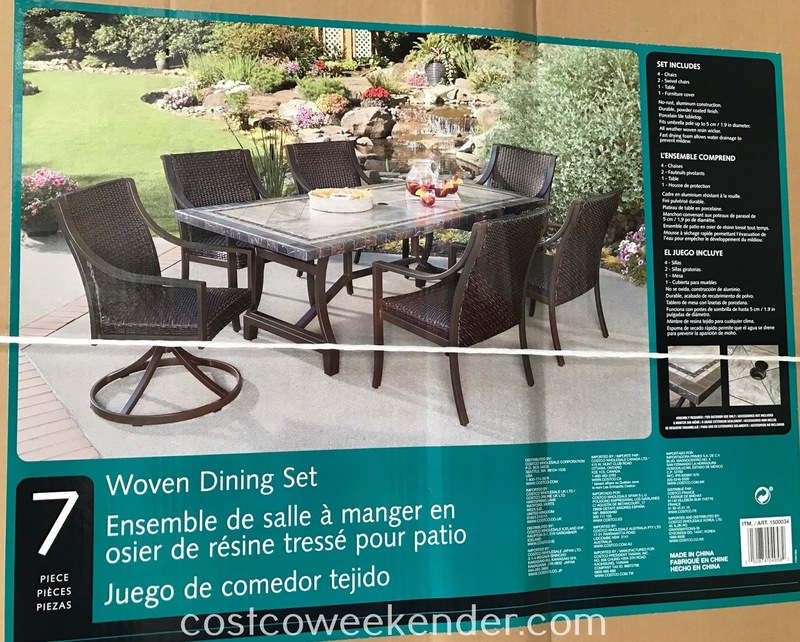 It can easily accommodate several people, so that everyone can be comfortable when you host an outdoor gathering.